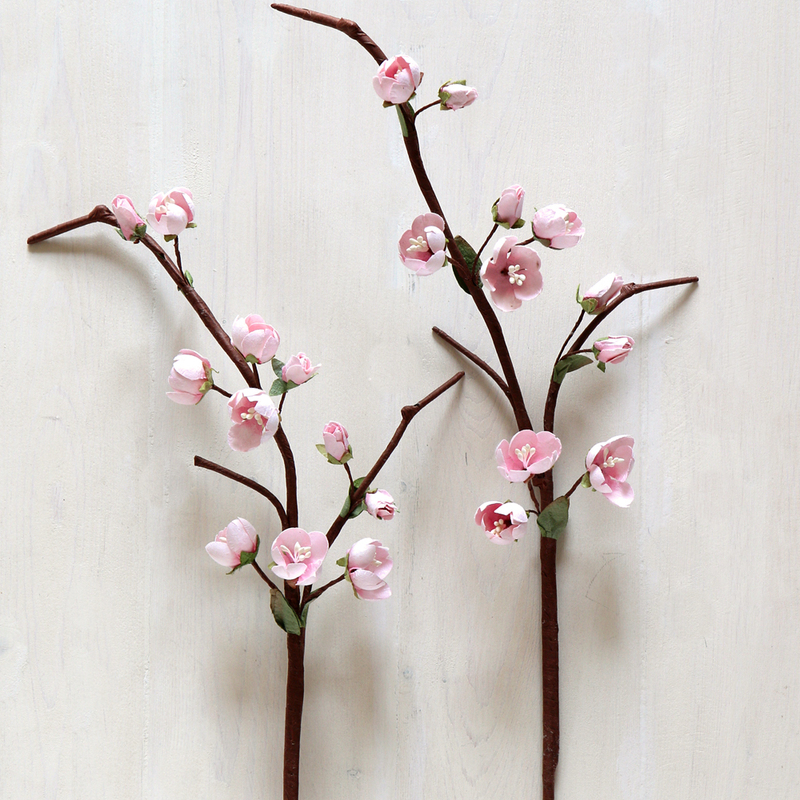 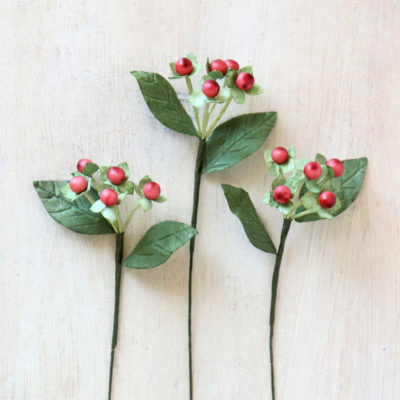 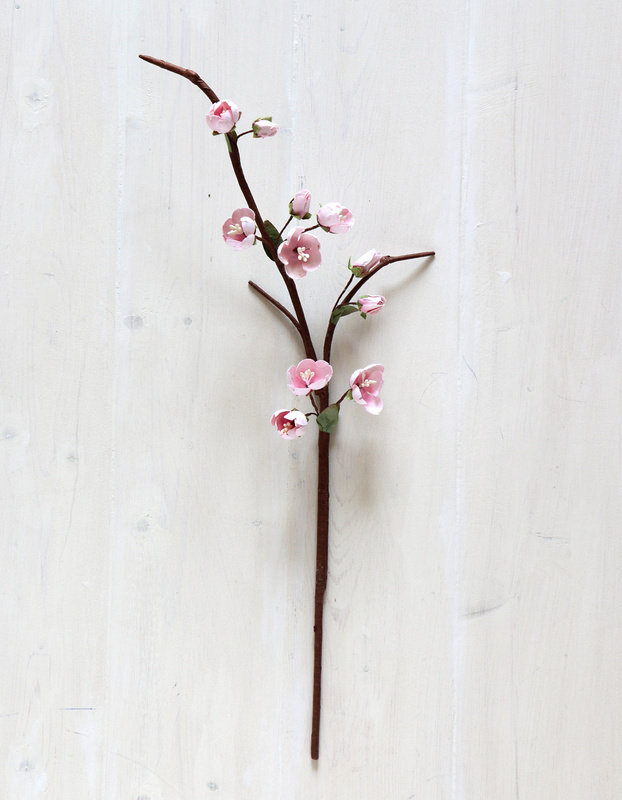 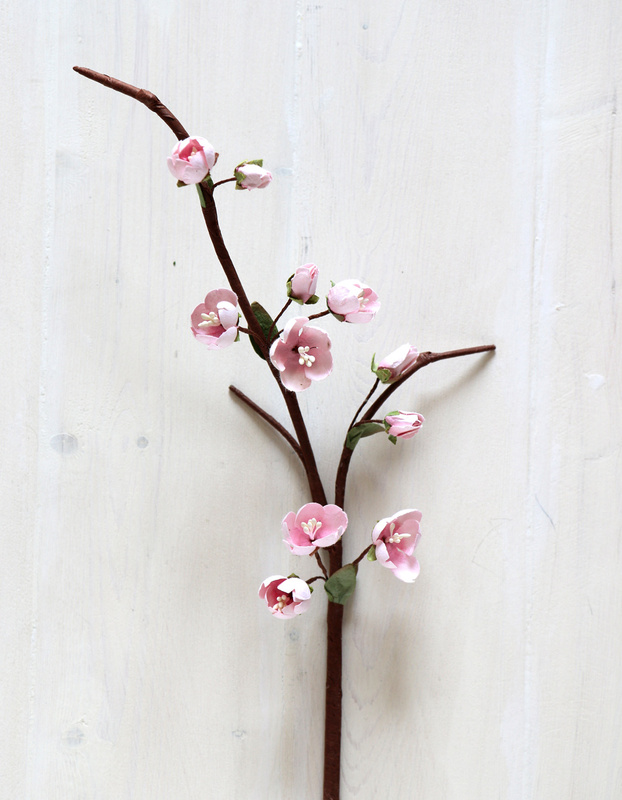 Paper cherry blossom flower stem in pale pink, beautifully handmade & coloured. 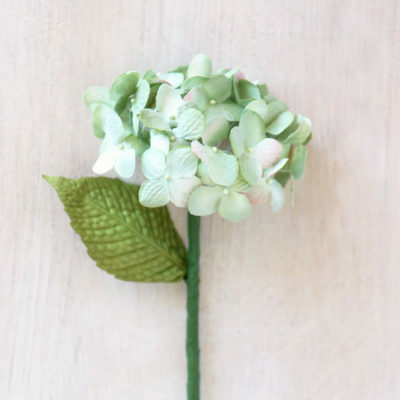 The paper for the flower is from a sustainable source and is very eco-friendly compared to other artificial flowers. 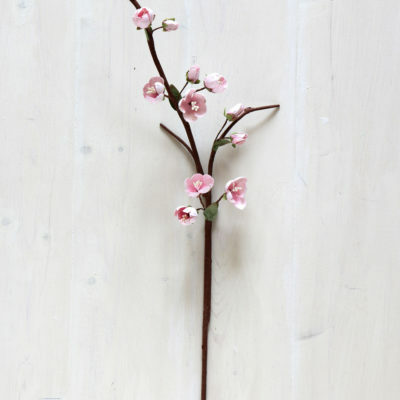 Each stem measures approximately 48cm. 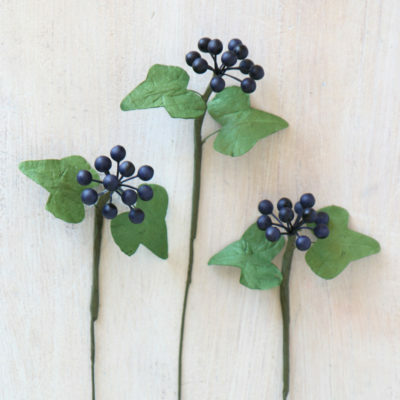 Perfect arranged as a few stems together or mixed with other paper flowers. 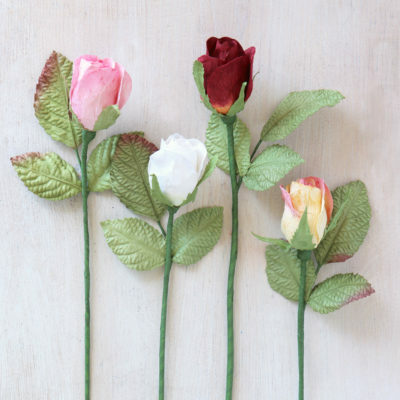 We wrap the flowers in brown paper and tie with a paper raffia ribbon. 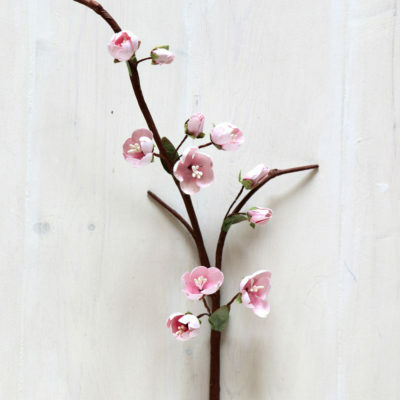 They are then carefully packed in a box for delivery to you in perfect condition.